The factional war within National that is driving this self mutilation over ACC leaks is an example of tory's at their most masochistic. The unity that kept them stable enough for the election has evaporated. Joyce has become our first tzar by staking out his new authoritarian capitalist super ministry squaring off against Bill English and in that wake is Crusher Collins trying to line up her credentials as Key's replacement. This is ACC fratricide between Boag and Collins and sadly Nick Smith was collateral damage from friendly fire. 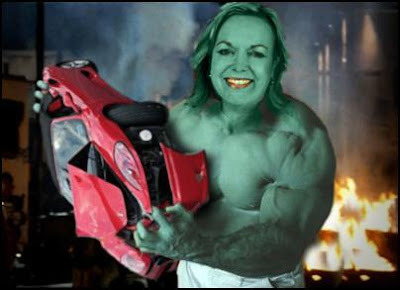 Make no mistake, this is a factional war within National, Ministers are falling from the heavens like murdered angels and if Crusher is connected to the dirty deeds done dirt cheap duo of Slater and Lusk, she'll be cast down from Olympus as well. Slater is one of Collins favorites, it seemed very unsurprising that details turned up on Whaleoils site. And what of Key's role in the Pullar saga? Is he aligned to a particular faction? A lot of what we're hearing about when it comes to National Party factions is entirely speculation and innuendo from outside, so it could also be individuals with agendas sniping at each other. However, if there are factions, it appears Key's sided with whichever one Joyce either belongs to or is heading. Faction in-fighting within National? Of course. Just as Labour was once upon a time riven by factional infighting, before MMP separated those factions into distinct, separate parties (Greens, NLP/Alliance,Maori Party, Mana, Etc0. National never went through that process, and the in-fighting demonstrates the tense factionalism that still exists. As for Collins (and other Nats) using Slater as their "asset" to conduct sleazy political "black ops" - the day will soon come that they will rue their use of this man. People like that often end up turning on their handlers. And they haven't even sold off any SOE's yet. This train wreck is just getting started.